9. 11. 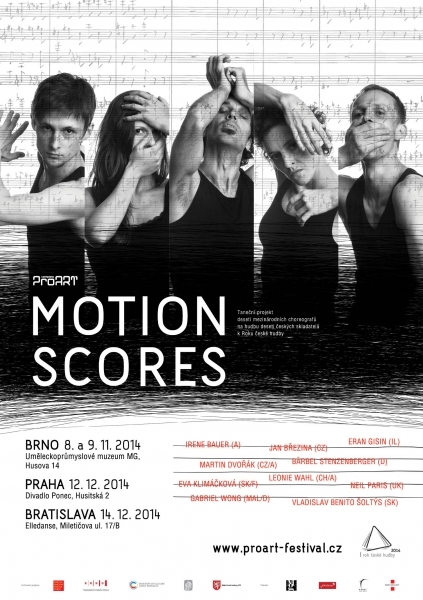 Brno 14:15 / Dance Life Expo / Motion Scores IV.+X. 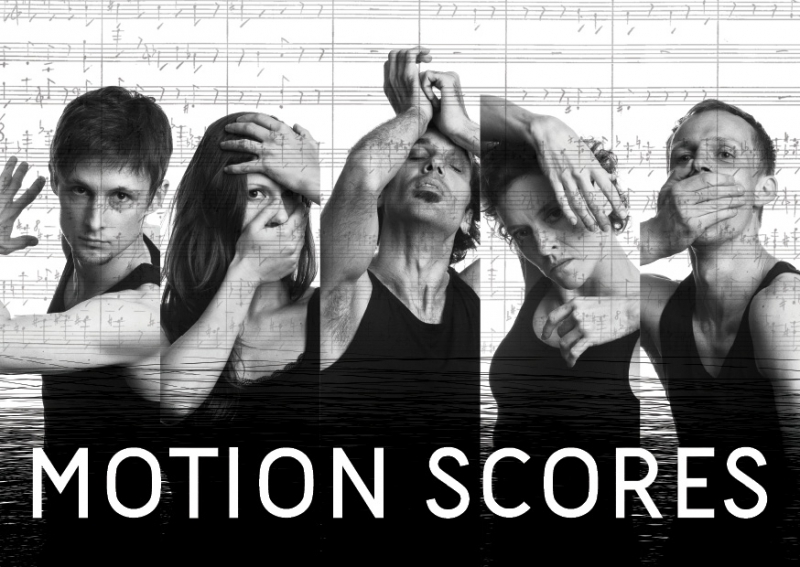 On the occasion of the Year of Czech Music and ProART's 10th anniversary, we created a non-traditional project called Motion Scores, choreographed by 10 international choreographers to the music of 10 Czech composers. It is rather a megalomaniac attempt to inspire choreographers with a different art background to creating to Czech music, i.e. classical music of 20th century composers. The assignment was the same for all – music only. They only had two options. The final performance on the stage which the audience will see is the result of the personal choice and artistic vision of each of the artists addressed and their openness to a mutual dialogue. 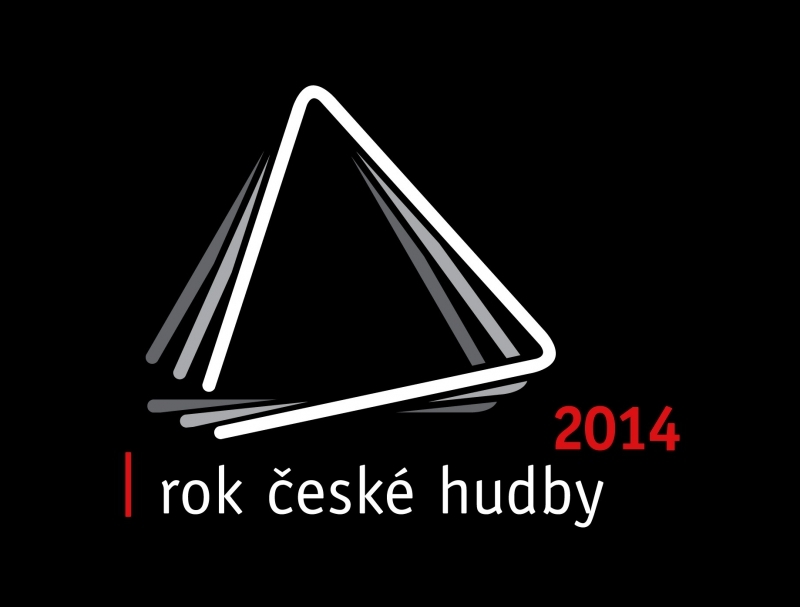 My initial intention was to map the development of Czech music from its beginnings throughout the entire evening. However the stylistic fragmentation, in combination with the genre differentiation of the individual choreographers, led me to limit the music segment to only one specific period. Without any doubt, the 20thcentury is the most significant for me personally. Contemporary music of today's composers is stylistically heterogeneous to such an extent that it would only remind us unsystematic jumble. Of course, it was not natural to create and work with this type of music for each of the choreographers. Thus, many accepted it as a challenge and personal experience. Some even simply refused after hearing the compositions. Nevertheless, I am most interested in the variety of creative approaches and visions of how to capture our classical music.